MyTourLane is a well-known travel agent specialized in Kuala Lumpur tour package, and it is owned by Exotic Asia Holidays Travel & Tours Sdn Bhd (KPL6245) which is a full-service private tour provider that offers affordable personalized tour packages in Malaysia. We are licensed by Ministry of Tourism Malaysia (KPL/LN6245) and an active member of Malaysian Association of Travel & Tour Agents MATTA :MA3643. The tour will jump-off from the city of Kuala Lumpur to begin a 45-minute drive to the Genting Highlands. 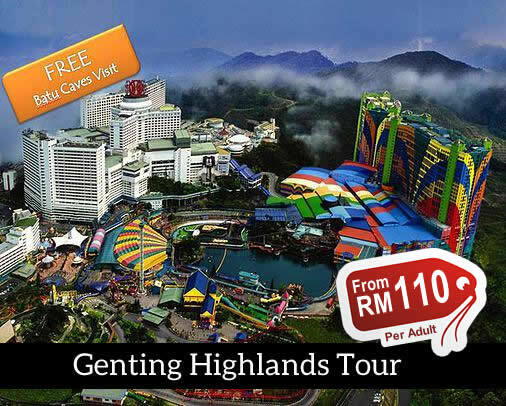 The Genting Highlands casinos can only be reached through a cable car and while you’re on the cable car you will get to enjoy the breathtaking view of KL you can only see when you visit the mountain. 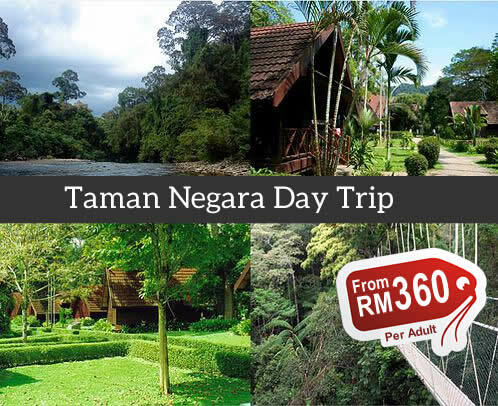 The Taman Negara National Park covers an area of more than 1 million acres. It has several sections belonging to the Malaysian states of Kelantan, Terengganu and Pahang. The government does not allow commercial logging in this area and as a result, you will find lush green rainforest areas in the area because it’s well-protected by the government. The park also is home to the highest peninsular peak, Gunung Tahan, which stands at 2187 m above sea level. It is very popular among nature lovers because they can discover new flora and fauna species in one of the oldest rainforests in the world. You will definitely remember the entire experience when you go on this trip.